Last week was my favorite person in the whole world’s birthday. I wanted to make my husband something really special for his birthday. 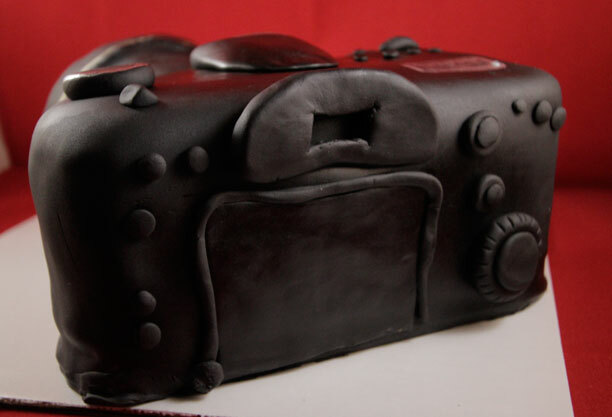 I decided that since a bunch of us teamed up to buy him a lens for his camera, it was only appropriate to make him a cake of his camera – the Canon 7D. The cake is chocolate cake with a coconut chocolate frosting. It was 4 thin layers of cake with lots of frosting in between layers. 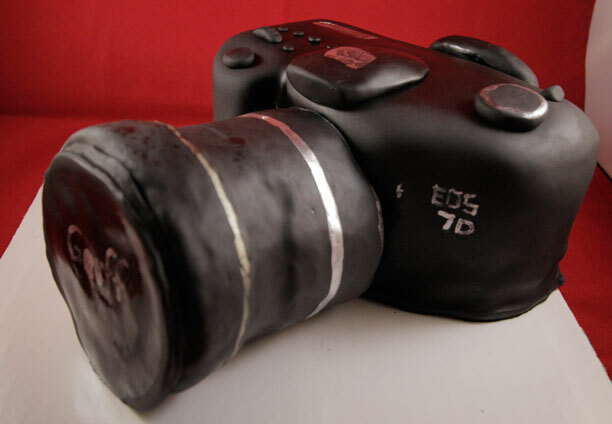 I only made the body out of cake and I made the lens out of rice krispy treats. 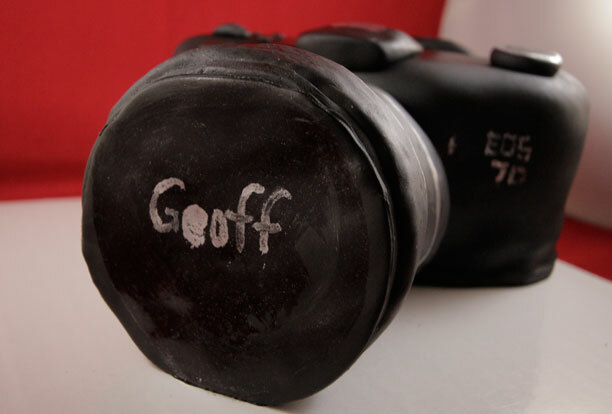 I secured the lens onto the body using 3 wooden dowels so it floated nicely and defied gravity. 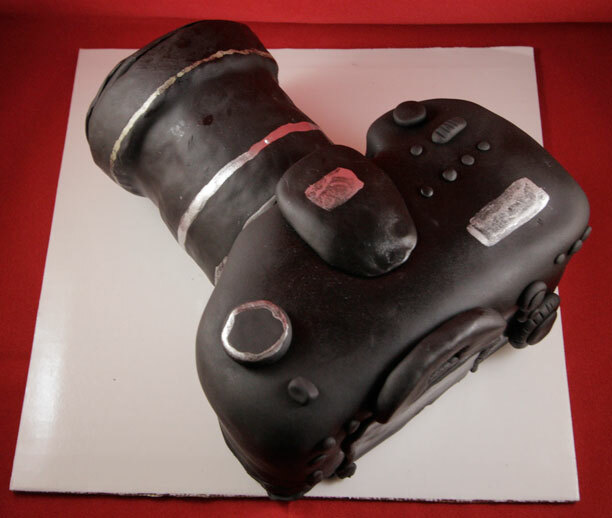 I covered the entire cake in black fondant. The best part of this cake was all the details. I made tons of buttons, the viewfinder, dials… lot of fun. I finished all the silver and gold using luster dust mixed with vodka to create an edible paint. Everyone loved the cake and it was a big hit. It served about 10 slices.